UK manufacturer Kudos Showering Products is marking 20 years of trading with “ambitious” growth plans for the business. Having introduced new management into the business at the beginning of 2018, Kudos Showering Products has “transformed operations”. It has encouraged chairman and founder Bruce Ledwith a renewed confidence to invest for future growth. The company employed Mark Hill as managing director and Nick Graville as sales and marketing director last year. Subsequent investment has been made in machinery, an expanded warehouse facility and production improvements, plus product launches for 2019. Chairman Bruce Ledwith commented: “The new management team identified many efficiency gains for the business and very quickly made some great workflow improvements. 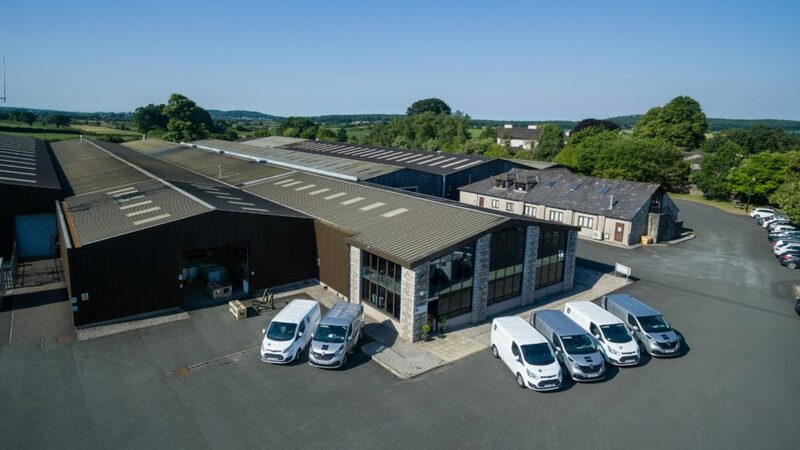 “2018 culminated in an investment to move all our shower tray production to our facility in Coleraine, Northern Ireland freeing space for a new 40,000sq ft finished goods warehouse, situated in an expanded facility two miles down the road from our production unit. He continued: “I am delighted to see the lean improvements made in such a short time by the whole team, it is affording me the luxury of focussing on my skillset of designing well-engineered products for the market and Nick to sell them into our growing customer base. Kudos has been designing and manufacturing shower products at its Cumbria facility since 1999. Its product portfolio includes shower enclosures, shower trays, over bath screens and wetroom solutions which are sold through bathroom showrooms and merchants.